Here is an entertaining, common sense organic gardening book from a master of both gardening and storytelling. The Woodchuck's Guide to Gardening reconnects us to the four gardening cycles of the year -- from spade to seed to grain to bread--through anecdotes and history, poetry and wit, politics, stories, and lots of down-to-earth organic gardening tips. 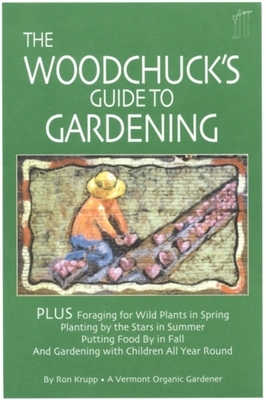 This is a gardening book for beginners, as well as for more experienced organic and biodynamic gardeners willing to learn thrift and practicality from the "woodchuck." It tells the story of the author, Ron Krupp's thirty years of garden-based learning. Part gardening primer, part map for your own gardening journey, part guide to the universe.